The canals (in Dutch: Grachten) are the symbolic of Amsterdam and in 2010 the main canals Singel, Herengracht, Keizersgracht and Prinsengracht made it on to the UNESCO World Heritage List. They form a beautiful belt around the south western part of the old town. They were built in the 17th century as part of a planned urban expansion. There are more canals here than in Venice and more bridge sthan in Paris. Every evening the down town bridges are illuminated giving the neighbourhood an air of romance. 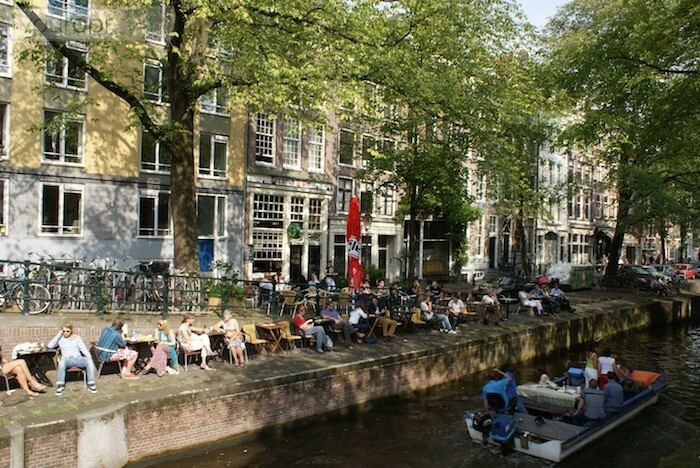 The district 'Grachtengordel' is divided by the canal in the west which runs up the Brouwersgracht, and the Southern canal that runs to the river Amstel. The west side is famous for trendy shops and bars and the south is more mainstream and busier. Explore the boutique shops in the 9 streets and stop for a break outside one of the many pavement cafes. It's one of the loveliest parts of Amsterdam so sit and watch the world go by. This area was built between 1613 and 1625 and is hoem to a key attraction, the Anne Frank House on the Prinsengracht. It's one of the most impressive museums in the city. Tourists are also attracted by the 9 Streets and its quirky shops and cafes. 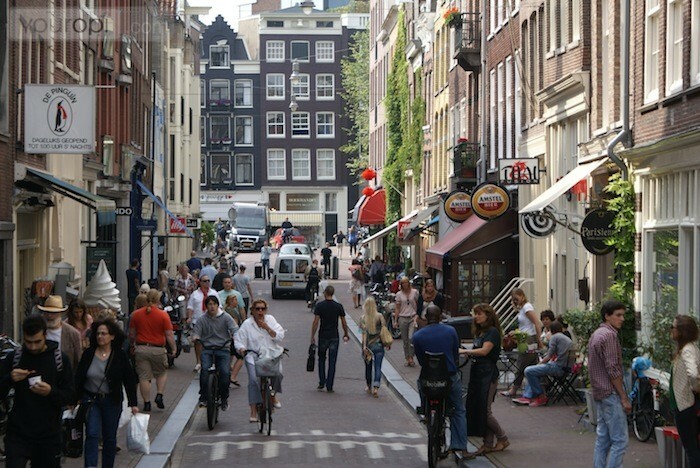 This neighbourhood epitomises Amsterdam which enevitably makes it popular. The southern canal took a lot longer to build and only the Nieuwe Herengracht canal was completed and connected to the Amstel river. 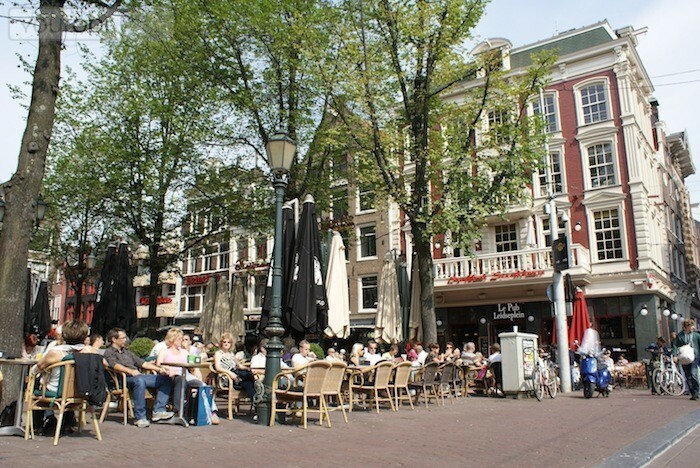 In this area you'll find the key tourists squares such as Spiegelkwartier, Rembrandtplein, Leidseplein and Koningsplein. Sit and relax on one of the many terraces with a drink and see the constant stream of people go by. If you like to party you'll have to visit this area, especially in the weekend it is very crowded. We don't think It's the best place to spend the evening though. 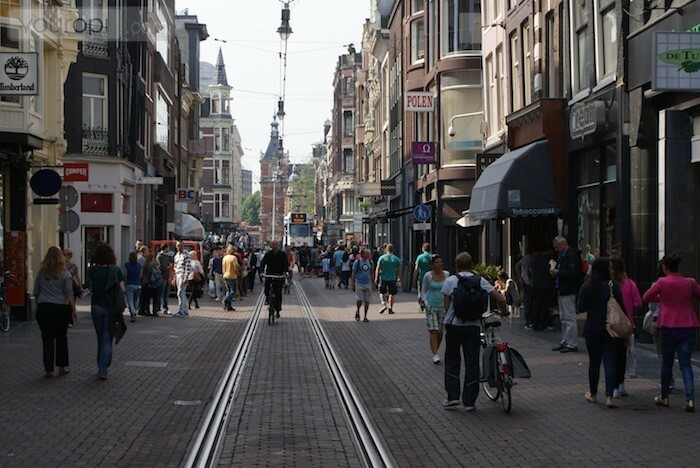 Instead head for Reguliersdwarsstraat or Utrechtsestraat, both have good bars and cafes and you'll have a change to meet real Amsterdam locals. 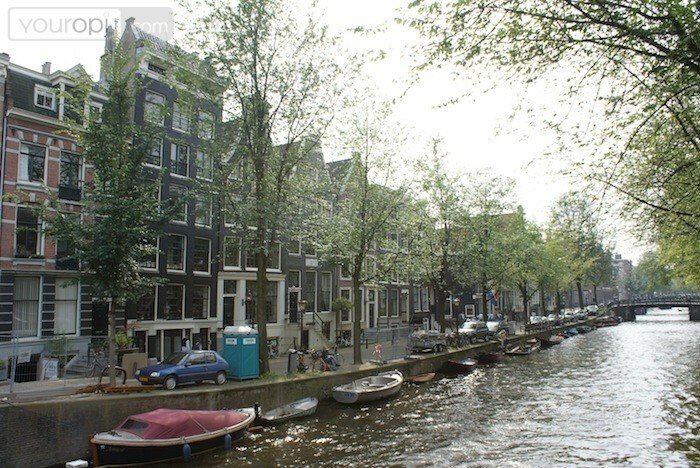 You get a great view of the Amstel river and the beautiful Hermitage Musuem building from the southern canal side. Dont' miss the Skinny Bridge, a picturesque wooden bridge wbuilt around 1670 on the Amstel.